Can you believe for many of us this homeschool year is halfway over? I am often amazed by the speed the first semester of the school year passes. As the first semester winds down, I have found myself evaluating our homeschool year. 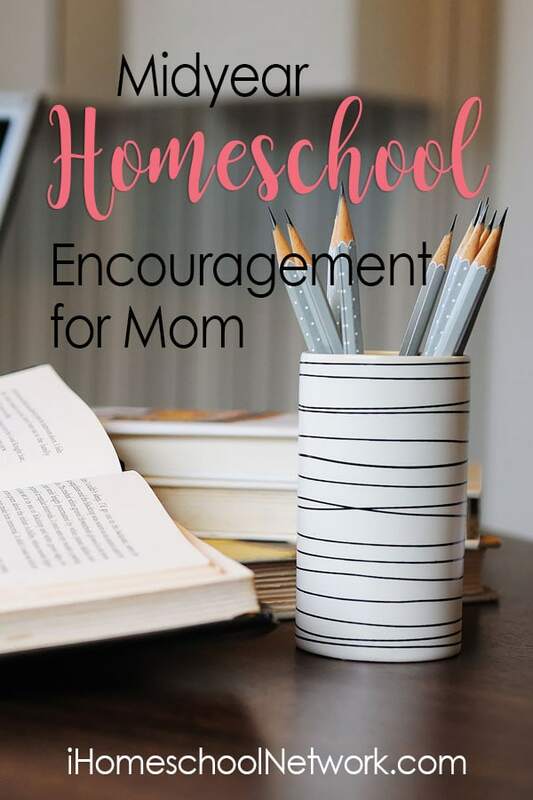 I don’t know about you, but in our homeschool we often must find our footing before it becomes smooth sailing, so taking time to evaluate the first semester gives the second semester a better chance at being just as good or better as the first. Keep doing what is working. If you read blogs or on any form of social media where there are other homeschooling families, it might be tempting to switch from the math program that is working to the one that seems to be popping up constantly in your newsfeed. Can I encourage you to keep doing what is working in your homeschool? By sticking with resources you have tried and know your children enjoy or are willing to do, you will have a greater chance of being able to complete that particular text, resource, or project. My daughters have shared with me that they want to complete their current math textbook for their own sense of completion. If I jumped to the next cool thing, then I would hinder their process. Don’t jump ship on resources that are working in your homeschool. Be willing to put aside what isn’t working. We know there’s a great chance all the curriculum packages that arrived at before the homeschool year began may not be a hit a few months into the homeschool year. If you are struggling to teach a subject or your children aren’t interested in learning that subject, it is perfectly fine to sit it aside to a later time. I’ve noticed at different times in our homeschool journey some resources simply weren’t a good fit. This could’ve been because the lessons were time consuming and took away time for other subjects we enjoyed more. Whatever the reason was I had to become okay with placing it aside and not feeling guilty. If a subject is working, but you aren’t moving through it as fast as you would like consider giving yourself permission to work through the course over two school years versus one. This option works well for us when it comes to completing our history curriculum. Have a teacher-student conference with your children. As the primary homeschool teacher, we can observe what is and what isn’t working, but I’ve found having homeschool conferences with my daughters to be extremely beneficial. They are able to tell me their goals. Before our most recent conference, I didn’t realize the importance of working through some material to completion. Since I went to public school and taught in public school, I know that most textbooks aren’t worked through completely so I’ve never placed the pressure to complete all of the books on our homeschool although many subjects we have completed all the lessons. Hearing my daughters say completing their math texts is important to them helped me to prioritize our lessons so they will be able to meet their goal. Also having conferences with your children can help your perspective especially if you are feeling mom guilt. My daughters often encourage me to be the teacher they need which is a reminder I need every now and then when I start wondering if my way of teaching my daughters is the right way. Find a moment to take a break. As this semester ends, find time to take a break. We have taken a few breaks this semester; after each break, I feel rejuvenated to keep on my homeschooling journey. Breaks provide us with time to be able to think about our homeschool progress and have the conversations with our children that will help the remainder of the school year go as well as the beginning. The midpoint of the homeschool year is the perfect time to reevaluate, adjust, and rest. Latonya lives in Tennessee with her husband and two daughters. She enjoys writing, teaching and creating. 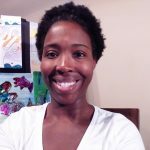 She teaches art and math regularly on Outschool and writes often about motherhood and homeschooling on Joy in the Ordinary. Thank you. I needed this today. We got so behind this year with the holidays. I always feel like we have to finish our books or I must be a bad homeschooling mom.